brownhillportraits.co.uk offers professional wedding and portrait photography in South Scotland and the surrounding areas. They offer personalised services and can tailor packages to suit the needs of individual clients. 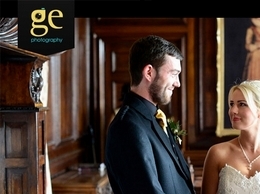 From wedding photography in Ayrshire to event photography throughout Scotland Amilight Images will capture the story whether it is that of a dream wedding, a playful pet, the perfect shot or the next big thing to hit the shelves.